Receive a fraternal greeting, accompanied by my sincere wishes welfare of your families together. On February 17th, 2010, the Spanish Parliament passed the official Resolution on reparation, recognition of the Black community aka PNL under slavery, apartheid, colonialism and racism (negrophobia/ Afriphobia). This is the greatest achievement in the history of Spain therefore urges the government to implement affirmative action policies’. Since that we launched the International Symposium of Experts, Abolition of Slavery and Trafficking: Colonialism, Apartheid and Racism Negrophobia. Four year after, different governments have not met this legislative framework. 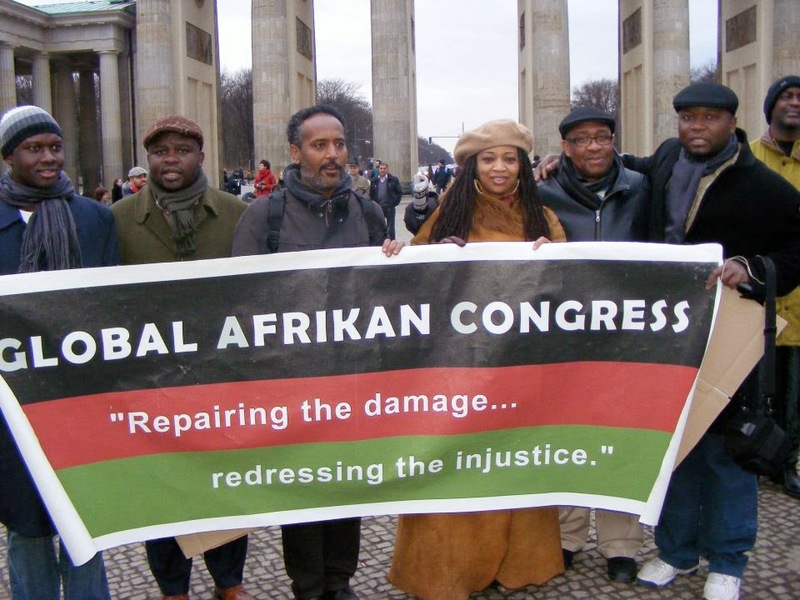 The main focus of discussion shall be “reparation as universal justice” during the CARECOM General Assembly after millions of struggle by grassroot black organization is scheduled to formally proclaim REPARATIONS ON an ‘International Decade for People of African Descent’ commencing 1st January 2015. Most afroeuropean like other people in the Spain do not know how this CARECOM Declaration came about and how it is going to impact on their lives. In Europe and Spain particularly, the Black community still lives in the worst poverty, exclusion, denial and institutional violence rates. For that reason several PARCOE member associations built "the Spanish Commission on Black Reparation" as working group, space of Garveyite convergence, Maroon and Afrocentric by and for the reparation, assigned to the Senate of Spain. for us reparation is not a secret group of enlightened experts and Negroes intellectuals, isolated from the African/latino community encased in a luxurious Hotel in Geneva Swiss but when the police killed 15 black immigrants in Ceuta, Peakahn, Sandenis, Baltmer, Amadora, Bahia, Cali, Durban, Matongee: they are unable to open their mouths to denounce it. As commission we agrees that Reparation is a struggle for Universal Justice and a Social community grassroots Movement for Afrikan Unity, peace , love and self-determination. Our epistemology is that Durban and PNL took place because we fought and we force international body SEGIB, AU, OAS, EU to sit and declare slavery less a crime of humanity. Afrikans governments can not do what we can do, and we must not expect anything of our governments. How little we have progressed from Durban 2001 to Madrid PNL has been the strength and efforts of grassroots organizations. So that as the mayor Chokwe Lumumba said, we have the responsibility to push the process. This is an historical process that gives continuity to our historical struggle from Benkhos, Zumbi, Nanny, Garvey and Nkrumah against slavery, colonialism, and now immigration, apartheid and concentration Camps CIES as crimes against humanity. Thus arises: Pan-Afrikans in reparations coalition conference Europe 2014-Madrid Spain from 4th-5th October. The event comes as part of the historic declaration of CARICOM, requiring EU reparations and the successful march for reparation and against monuments and streets named of criminals and other slavers, taken place in Barcelona by the Pan-Afrikanist Federation. The seminar will address the reparation process in the European Union (UK, Italy, Spain, France, Portugal and Germany) with special emphasis on the Spanish process. It is not an intellectual event which speaks on black slavery in third person, or distant geographically equidistant without attaching this past reality shows to oppression of Afrikan immigrants in massacres as Ceuta and Melilla or CIES. It is therefore an area of commitment and sense of belonging for the conceptualization, of the causes, Black dignity, Afrikan descendent memory and Afro-European process. The keynote speaker: Dr Mrs Esther Stanford-Xosei an illustrious representative of the National Afrikan People Parliament in the UK, and Co-Vice President of the Pan-Afrikan Reparations Coalition in Europe (PARCOE) others universities such Complutense, Miami Florida,UCLA California, Brasilia , Coimbra and another Historical Spanish expert. With this International seminar dedicate for activists, intellectuals, artists, NGO, immigrants, refugees and leaders of the african Latinoamericana community rising for more responsibility between Afrikans needed to provide more continuity for Afrocentric conscience. The conclusions of the seminar will be delivered to the Commission on development of PNL Black community, the new Spanish king and the Senate and parliament of Spain. (Comunity activist and international comission of N'COBRA Miami Florida.